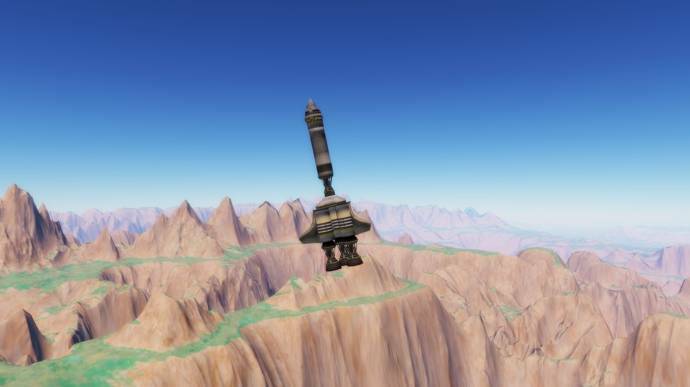 you can add Kerbal Space ships? Yes (although it's not too convenient). KSP ships are seperate parts, with one model for each part so you can't already have an entire spacecraft model directly ripped from the game. Theoretically, simply assembling these models in 3D software should do, but they're all in an encrypted .MU file format, so I can't use them. Today you will be able to download the ships from the thread. I'm currently adding them. There, I've added the spaceships on my thread. Feel free to download them. 1. Engines connect to fuel tanks, not solid boosters. 2. There is no decoupler between the first stage and second stage of the rocket. 3. I don't recall being asked before Vanguard was used for this pack, but it's a bit late now. 4. I'm pretty sure this http://i.imgur.com/qSdUcG8.png is a capsule from the original Silisko Edition mod of mine. Maybe a different mod, but definitely mine... same thing applies from point 3. That seems to be my own dumb mistake. Back when I first made up these catalog files which is well a couple of months ago and I had yet to find out what all these parameters meant. So I copied most of the stuff from the solar system catalog, with some changes. I think the atmosphere pressure is 1e-9 because I probably copied that from Io's catalog file, which also has a pressure like that. also now that you can have astronaut models (or will be able to) will you add kerbalnaught models? 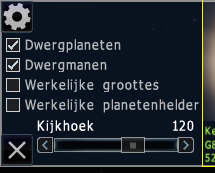 Eve has 4 atms of atmosphere. No they aren't, and 'height' of an atmosphere is a bad characteristic to use for comparison anyway. Kerbin reaches 10-6atm at ~69km. For Eve, that pressure occurs at ~108km. To determine appearance of an atmosphere it is necessary to define the surface pressure and scale height. The surface pressures are 1atm vs. 5atm, and the scale heights are 5km vs 7km, for Kerbin and Eve respectively. It says 5atm on the wiki. Does this work with 0.9.7.2? kaue4arp10, normally they should work in 0.972. However, I may update it to make use of the .pak system, and perhaps even (optional) night-side lights on Kerbin. and perhaps even (optional) night-side lights on Kerbin. I dunno if this is still being updated, but Kerbin appears as a white sphere, Eve has a weird red spot on it, the Mun has clouds, Vall, Tylo, and Bop have a line across the textures where they don't look like they wrap around the planets properly, Minmus and Gilly both look really squished, and some of the moons (Minmus, Gilly, Ike, Bop, and Pol) don't show up under their parents in the planetary system viewer. This has something to do with improperly specified clouds, didn't have this issue in the last version (turn off clouds on the right sidebar and you'll see). I might just remove the clouds layer to begin with, since the original Kerbin doesn't seem to have any clouds in the game either. If anyone wants to add the Earth clouds by themselves anyways, they can go ahead. It actualy doesn't have clouds, but it does have an atmosphere that generated there now against my will, so a simple NoAtmosphere and NoClouds tag might fix it. I have no idea what could be causing this, but it seems to have something to do with the atmosphere. I'll replace the atmosphere with a new one anyways, since the "Pinkworld" atmosphere model is now more appropriate for Eve than a darkened "Neptune" one. I'll try to fix this whenever I find the time for it. some of the moons (Minmus, Gilly, Ike, Bop, and Pol) don't show up under their parents in the planetary system viewer. You need to make sure the checkbox for dwarf moons is on in the planetary system viewer. The latest version of SE seems to disable this by default. I might post a small update correcting the atmospheric/clouds issues for Eve, the Mun and Kerbin soon. I may also want to revise the entire catalog, because most of the information in it is now inconsistent with the KSP wiki. This is because at the time I originally made the planets (in 2013), there was not very much information available about the physical characteristics of the planets on the KSP wiki, so I just made values up or simply copied them from the Solar system. Are you going to update this to use the new Pak system? This would have been brilliant if the KSP RP was still going.